One of the most complex challenges an entrepreneur or business owner has to face when setting up a new company website is figuring out how to deal effectively with online traffic. It takes time, perseverance and dedication to build a steady stream of online visitors to your site. With the rise of internet marketing, competition has dramatically increased and it can be a tough task to ensure your website ranks high amongst your competitors in the online world. Headlines can be the make or break factor in your company being able to keep the readers coming back for more. Create a stunning headline to ensure you are engaging the audience and capturing their interest in your site. Having a unique and catchy, interesting headline will result in your page being more likely to be discovered at the top of a search engine. Understanding your industry’s niche keywords or phrases can increase your rate of traffic. Long tail keywords show up in search rankings quicker than major keywords and also target buyers that are specifically ready to immediately purchase products. It’s great to have a stunning headline – but if you don’t have great content for your articles or blogs, you’re not going to engage the reader for very long. Ensure your content is interesting, unique and original to promote SEO rankings and to keep your readers engage in your site. Including internal links within your website gives your website the best chance at increasing web visibility. Every blog you publish should include links to relevant other sections of your site, potentially increasing your sales. Start creating a name for yourself! Getting brand recognition and familiarity can be highly beneficial in promoting your company and increasing visibility for your site. If you’re interested in connecting with others in your niche area, and driving traffic to your site, being a guest blogger can be an effective way to achieve a better ranking. Feel like a challenge? Up your game and contribute towards major sites like Forbes and Huffington Post to enhance your sites creditability and traffic rating. 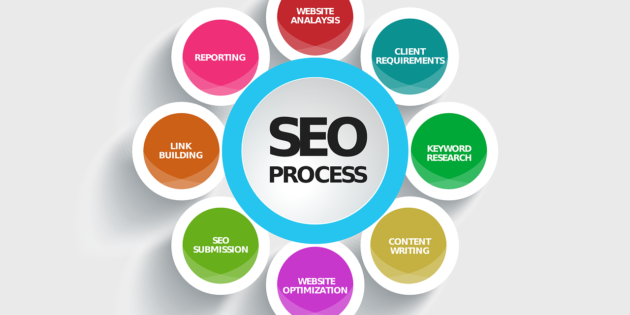 This option greatly increases you search rank level and also gives the opportunity for mass exposure. Posting continuously has a massive impact on how quickly your site climbs the rank. Posting high-quality posts with great content can improve your site’s visibility up to twenty percent. It’s better to post six high-quality articles per week than posting 3 standard articles a day. Remember, quality over quantity here. Publishing unique content on LinkedIn Pulse can provide greater credibility for your website and drive targeted traffic to your site links. A picture says a thousand words. When you want to promote your website, a creative and original marketing campaign is the key. Try You Tube videos to engage viewers in your website promotions. Having length delays or lag time between loading pages can frustrate some views and result in losing potential customers. Make sure your site is easy to navigate and quick to load. Make sure your company is offering unique products that not many other companies provide. Having a unique product that you can claim copyright to ensures won’t recieve much competition for your sales. Make sure to answer questions! To create connections between customers and business, they need to feel valued and heard when commenting or sending queries about your product. Answer in a timely manner to all customer questions, and it’s helpful to provide a Questions and Answers page on your site as well. Engage your audience by responding to comments on your blog. This gives the public and overall sense of value, and a powerful tool to build strong customer relations. While there are many free ways to obtain free traffic, paying for traffic will give you a head start to make it to the top of the ranking lists. Google Adwords is a great search tool that can benefit your business while remaining affordable. Possibly one of the most cost effective options, FaceBook advertising is a great option to access a whole new level of potential customers. One of the largest social networks, utilising FaceBook advertising in your promotional strategy can greatly benefit your business visibility possibilities. Keeping your blog subscribers up to date with your current business promotions and events can help keep clients long term and engaged in your business and products. Having a specified FaceBook group targeting your niche can rapidly increase your customer database. They’re easy to set up and drive enormous amounts of traffic, but be prepared to put a lot of work into it. Having a forum chat room set up specifically for your business can greatly engage customer relations and also allow customers to chat with each other about your products. It’s a great way to get feedback about your products and see what needs to be improved within your site. Having captivating content is great – combining that with fantastic images can make your website stand out in the crowd. Be selective and make sure your images are high quality, high resolution, and fit in with your targeted niche theme. Sometimes, blogging is a two-way street – having an influential blogger guest posting on your site increases your sites credentials and can increase traffic. Hosting webinar sessions can be a great way of driving customer engagement with your site. Make sure you have a least a small audience before trying this out and advertise on your site as well as emailing your current clients to send an invitation to your webinar session. While it is ok to have some advertising on your site, the last thing you want is for your website to be cluttered and stocked full with Ads. More ads on a website can result in generating client distrust. Be strategic in your ad placement and don’t overdo it. If you want to be considered an expert in your niche to have the top advantage in your niche, make sure you cover all aspects. Constantly work on improving and adding new content to your site, and be up to date with current news and updates relevant to your niche. Be organised. You want your site to come across as easy to read, not give potential buyers a headache when trying to navigate their way through your site. Make sure your content is well presented and placed, and your images compliment your page structure without over-cluttering it. When you have a large client database, you want to pay attention to the details. Ensure your articles are error free and grammatically correct. Consider what fonts, sizes and headings are the best option for visually appealing results to entice your readers. When you want a website that dominates your niche and outranks your competitors, these twenty-five tips will ensure you’ll have the best start in gaining a high ranking in search results. Make the most of these handy tips today to achieve the best results in driving traffic to your website.